Turned pro in 1987. At one time sported a magnificent mullet. Earned $828,914 in 2001. Rehab for alcoholism in 1992 and 1997 and October 2003. Current wife Sherrie was indicted in Mississippi with her parents, Alvis and Billie Miller, for laundering $1.2 million in drug money. Daly says he will stand by her "unless she is convicted". 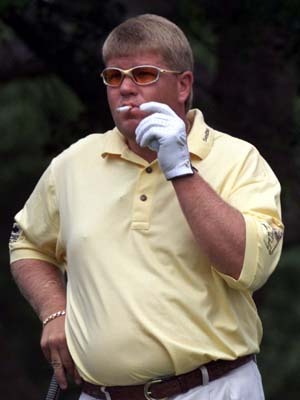 Over the years, Daly has lost $50-60 million to gambling, according to his autobiography, My Life In and Out of the Rough.